Habitat at Home…and at Hacienda at the River! One of the many unique features at The Hacienda at the River is the 7.4-acre landscape containing native Sonoran Desert flora that was designed to provide habitat for native fauna. 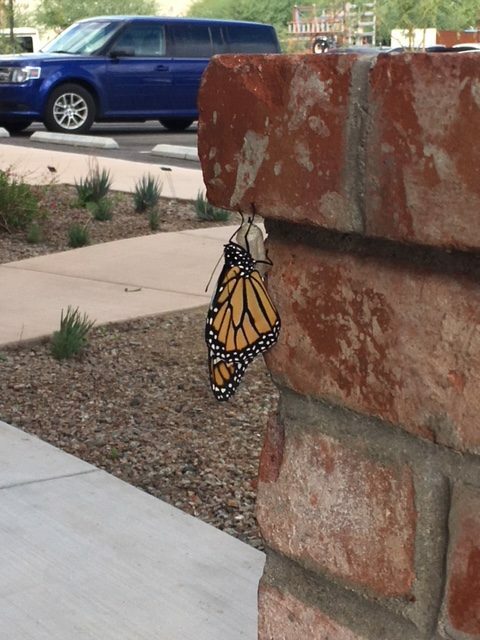 We have partnered with the Tucson Audubon Society’s Habitat at Home program which works with property owners to develop and maintain sustainable, low-water use landscapes with the intent to provide food and shelter to desert wildlife and particularly pollinators such as birds and butterflies. We have witnessed the fruits of our labor during the past year by seeing multitudes of hummingbirds, moths, butterflies and and array of other native wildlife. 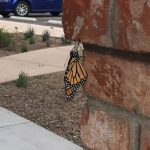 Recently, however, we were also treated to a special event – a monarch butterfly adult emerging from its chrysalis at our skilled nursing facility, The Springs. 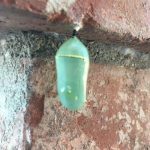 A monarch caterpillar will typically form its chrysalis (a cocoon for butterflies) less than 50 feet from its last meal. 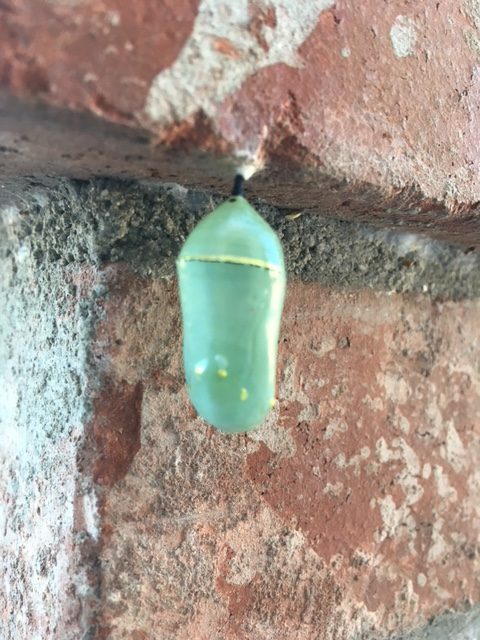 Sure enough, this chrysalis formed just a few paces from the native milkweeds planted on the banks on our riparian corridor. We are thrilled to be part of this program and with results like this, who wouldn’t be?!? Our success in the program has been recently featured in the quarterly publication The Vermilion Flycatcher and for a full read, please follow the link below!